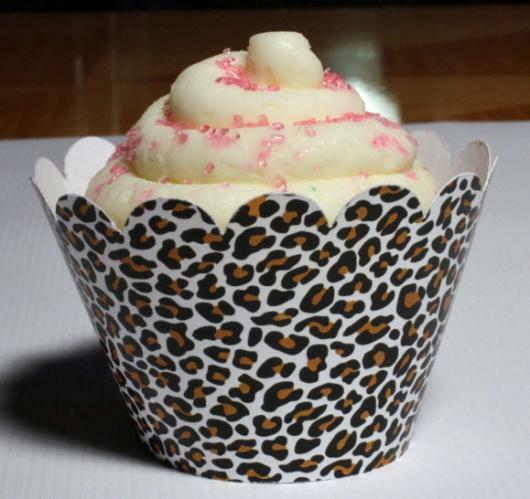 Turn the dessert at your party into something fabulous with these leopard cupcake wrappers. Not leopard cupcake liners (those are what you bake the cupcakes in and these cannot go in the oven - they are decoration only) but wrappers that go around the actual baked cupcake. Our cupcake wrappers fit regular sized cupcakes and measure 2 1/4" at the top of the scallop!